← Etiquette ~ requesting monetary gifts instead of toasters. 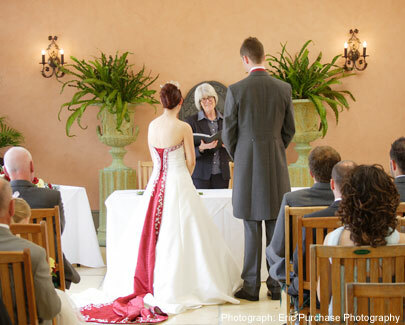 Civil ceremonies are gaining popularity over church weddings recently and this is happening for many reasons. A civil ceremony is highly customizable and is not bound by any rules and regulations. This allows the couple to blend many religions, traditions, and cultural rituals into one ceremony. 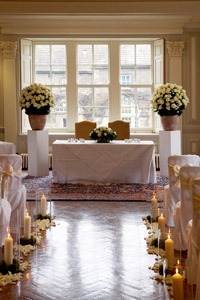 Civil ceremonies are highly recommended for couples with children in order to symbolize the blending of your families. There are no rules that say how elaborate your marriage ceremony must be, or where it must take place, therefore your imagination is your only limit. 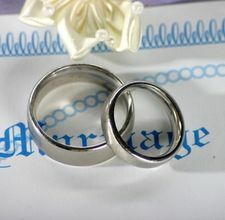 The most basic of civil ceremonies include a legal authorization by your marriage celebrant and a simple exchange of vows. You can include a special greeting to welcome your guests if you wish, you can even add the reading of a poem, or an introduction of the couple by a close friend . In order to make your ceremony even more personal you may choose to write your own vows.Civil marriage ceremonies can range from small and intimate gatherings to more lavish affairs; they allow for the utmost flexibility and can be adapted to your liking. Many couples make their ceremonies unique by incorporating both traditional and nontraditional elements. Represent Your Union with Unity Candles , its exclusivity of religious significance makes it suitable for any couple. Two candles, representing the couple as individuals, are lit. They are then used to light a third, central candle that represents the unification of the couple and their commitment to both the marriage and each other. The many potential variations insure a perfect fit into your specific ceremony. For instance, the individual candles may be lit prior to the ceremony, or during the ceremony by the bride and groom, or by the couple’s parents. There may be more candles added to represent your children. The tradition of a unity candle offers a meaningful way to involve family members in your ceremony, and can be personalised further according to your liking. The endless freedom of civil ceremonies allows you to create the wedding of your dreams. You can incorporate your family and friends in any part. Honor the beloved memory of someone special. Blend ancient rites with modern customs. Start a new family wedding tradition as a gift to the brides and grooms of future generations. Your civil ceremony will blend carefully chosen elements that convey the essence of your personalities, the strength of your commitment to one another, and the unbounded love you share. That’s the overall purpose of a wedding anyway isn’t it? This entry was posted in Budget & Finance, Uncategorized, Wedding Advice & Tips, Wedding Details, Wedding Planning and tagged Budget & Finance, Layne Corban, Multi cultural wedding, wedding, Wedding Details, Wedding Planning. Bookmark the permalink.